UPSC Recruitment 2018 Job alert both Fresher and Experienced can get UPSC recruitment 2018 updated on January 27, 2018, notification on recent UPSC recruitment 2018 openings across India. This is an exclusive page updated on 27.01.2018 for the latest recruitment notification upsc.gov.in from Union Public Service Commission UPSC 2018 it contains both active and recently expired Job openings and recruitment notification from UPSC 2018. For Air Force and Naval Wings of National Defence Academy and for the 10+2 Cadet Entry Scheme: 12th Class pass of the 10+2 pattern of School Education or equivalent with Physics and Mathematics conducted by a State Education Board or a University. 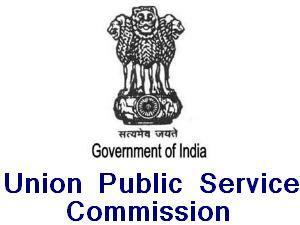 UPSC CDS Selection Process: Selection will be based on Written Examination / SSB Test/Interview. Application Fee: candidates have to pay Rs. 100/- for General/OBC Through by Cash to SBI branch bank, or by using net banking facility of the SBI or by using visa/master credit/debit card. SC/ST/ Women candidates who are exempted from payment of a fee. How to Apply UPSC CDS Vacancy: Interested Candidates may apply online through UPSC website www.upsconline.nic.in from 15.01.2018 to 05.02.2018.